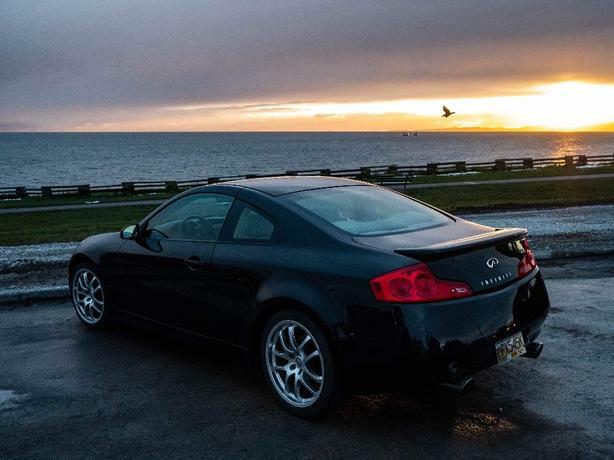 Selling my 2006 Coupe 6 speed. This car is in amazing shape and is a total head turner, I have gotten numerous amounts of compliments for how clean it looks and sounds. New clutch, new-ish tires, new battery, & fresh oil change. Car is ready to go! The tire pressure sensor needs to be replaced or re-wired. It comes on to tell if you need to pump air, just a light on the dash. Tires are completely perfect; just the sensor is tripped. Back bumper has been replaced from previous owner reversing into his garage. I have gotten it checked out from infiniti Victoria prior to purchase and there are zero issues with alignment etc. Car is still in "clean" title status, just a new bumper!! Car is all stock besides aftermarket exhaust which I have installed, gives a more deep, rumble sound than stock. Interior is 9/10 , exterior is also 9/10. An absolute dream car to drive, not in a rush to sell. No low balls, test drives allowed. It also has the Sport, Aero and Premium packages. Sport-Tuned Suspension Package (Standard on G35 Coupe 6MT): Sport-tuned suspension, 19-inch forged aluminum-alloy wheels, P225/40R19W front tires, P245/45R19W rear tires, drilled aluminum pedals, perforated leather and unique stitching on steering wheel, Viscous Limited-Slip Differential.